Buy any product from our Online Store and bring it in to our physical location to receive discounts on selected in-store products and services! 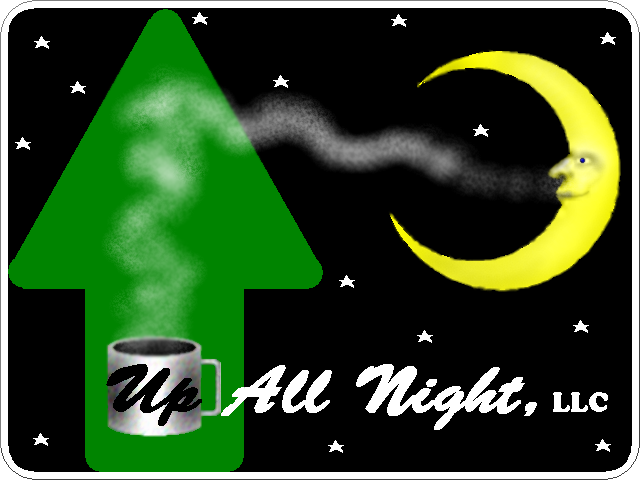 This site was designed and is maintained by Up All Night, LLC. The site and all content herein, including--but not limited to--graphics and other intellectual property, are Copyright © 2013 by Up All Night, LLC. All Rights Reserved. Nothing on this site may be used--either in whole or in part--without the express written permission of the company and its owners, and all persons granted such rights shall include a link back to this site or in some other way advertise the site or the company in exchange for the priveledge. All violations of these terms will be prosecuted to the fullest extent of the law.